On arrival at Bangalore our representative meets you at the airport and assists you till your check in process at the hotel. Stay overnight at the hotel. After breakfast transfer to Eagleton Golf Village - One of India's finest golfing facilities, The Eagleton Golf Course in Bangalore is an 18-hole PGA championship golf course with traditional out-and-back configurations. With its well maintained fairways and greens, generous corridors, and a spectacular perspective, The Eagleton Golf Course offers members an exciting championship layout fair to all golfers. 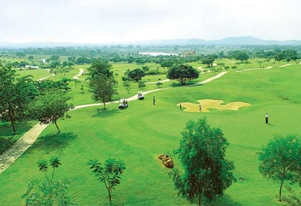 Over the years, Eagleton - The Golf Village has successfully hosted competitive events such as the Ladies European Tour and PGTI Golf Tournament for the first time in India. Overnight stay at hotel. After having breakfast you will be transferred to Eagleton Golf Village for full day for guided Golf playing. Evening free for your own activity or free for shopping around the local market. Overnight stay at hotel. Morning after breakfast drive to Mysore. Visit this ancient princely city, famous for its silks, sandalwood and various palaces, among which the largest palace in India, built in Indo-Persian style in 1900. Visit an art gallery and the Chamundeshwari Temple dedicated to the goddess Kali on Chamundi Hill, from which you have a panoramic view of the city. You will also visit Somnathpur, famous for the temple of Keshava. Overnight stay at hotel. Morning after breakfast drive to Ooty. On arrival at Ooty check into the hotel. 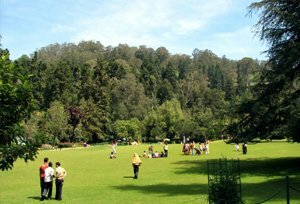 Evening free to explore the beautiful & ravishing beauty of Ooty. Overnight stay at hotel.